Jason Y. Ng is the bestselling author of Umbrellas in Bloom (2016), No City for Slow Men (2013) and HONG KONG State of Mind (2010). Together, the three books form his “Hong Kong Trilogy” that tracks the city's post-colonial development. Born in Hong Kong, Ng spent his entire adult life in Italy, the United States and Canada before returning to his birthplace to rediscover his roots. He is a contributor to the South China Morning Post, TimeOut (HK), EJInsight, and Hong Kong Free Press. His social commentary blog As I See It and lifestyle review site The Real Deal have attracted a cult following in Asia and beyond. Ng is also a full-time lawyer and an adjunct associate professor at the Faculty of Law of the University of Hong Kong. The Umbrella Movement of 2014 put Hong Kong on the world map and elevated the docile, money-minded Asian island to a model for pro-democracy campaigns across the globe. 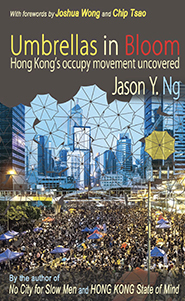 Umbrellas in Bloom is the first book available in English to chronicle this history-making event, written by a Hong Kong born author and columnist based on his firsthand account at the main protest sites. 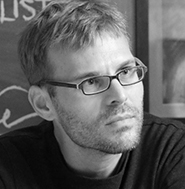 David Bandurski is the author of Dragons in Diamond Village (Penguin/Melville House 2015) and editor of The University of Hong Kong's China Media Project website. A frequent commentator on Chinese media and current affairs, his writings have appeared in the New York Times, the Far Eastern Economic Review, the Wall Street Journal, Index on Censorship and other publications. Bandurski received a Human Rights Press Award in 2007 for an investigative piece about China's Internet censorship guidelines. He is also a producer of Chinese independent films through his Hong Kong production company, Lantern Films.